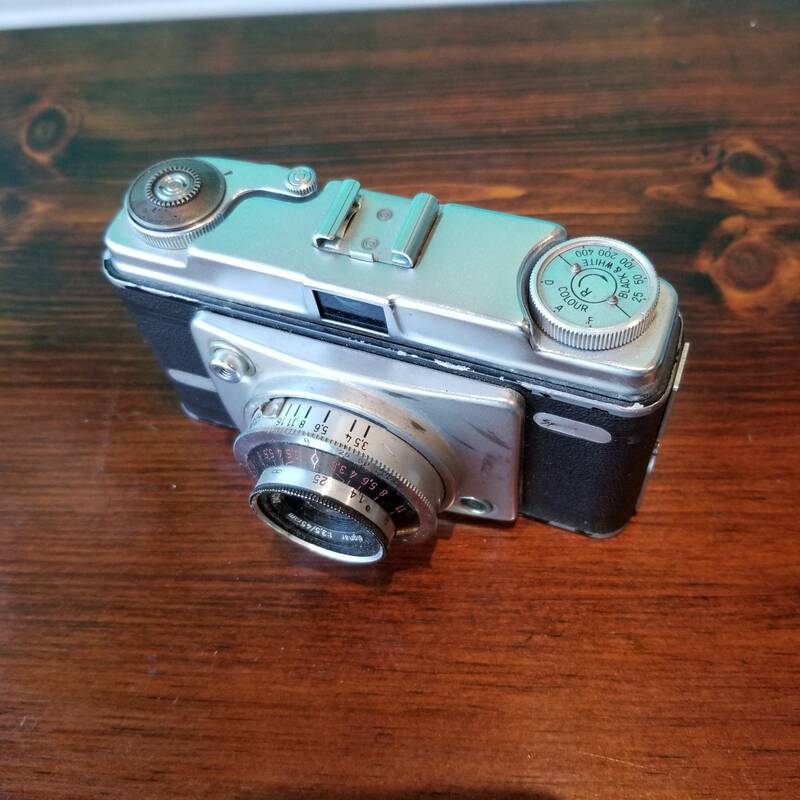 Ilford's Sportsman cameras were a range of viewfinder- and rangefinder-cameras, made for Ilford in Germany by Dacora; the first was introduced in 1957. 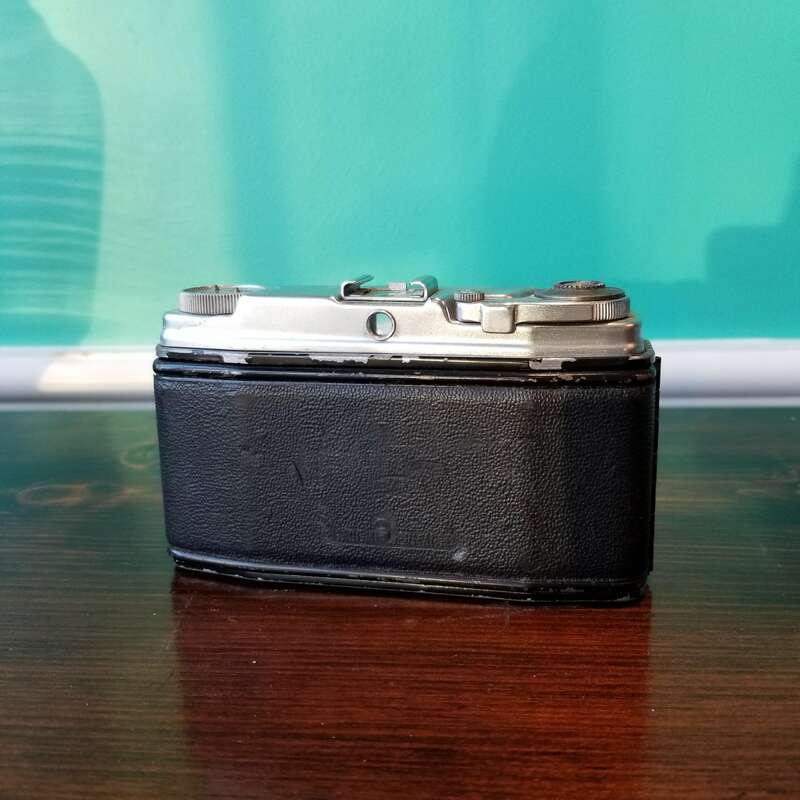 They were a cheaper alternative to the Kodak Retina and Retinette series for the newly-popular 35mm format at the time. The Sportsman cameras were rebadged versions of Dacora models, including the Dacora Dignette. There were a variety of shutters fitted, including Vario and Prontor mechanisms, housing a selection of lenses such as the Dacora Dignar, Steinheil Cassar and Isco Color-Isconar. 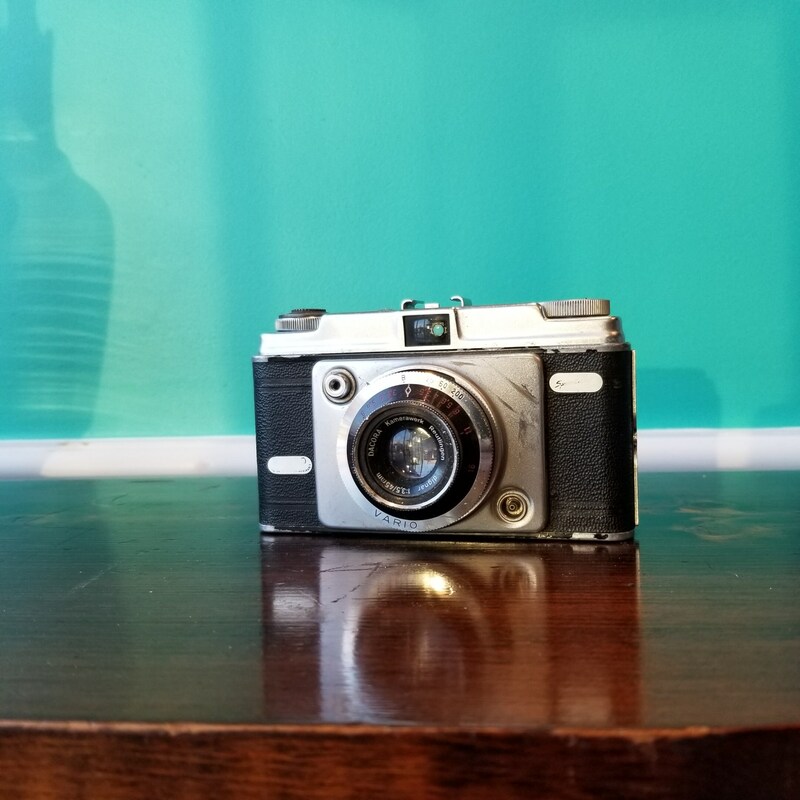 The range included basic models, with the Vario shutter and Dacora lens, through fitted meters to sophisticated rangefinder cameras with light meter, Prontor 500LK shutter and Cassar lens. 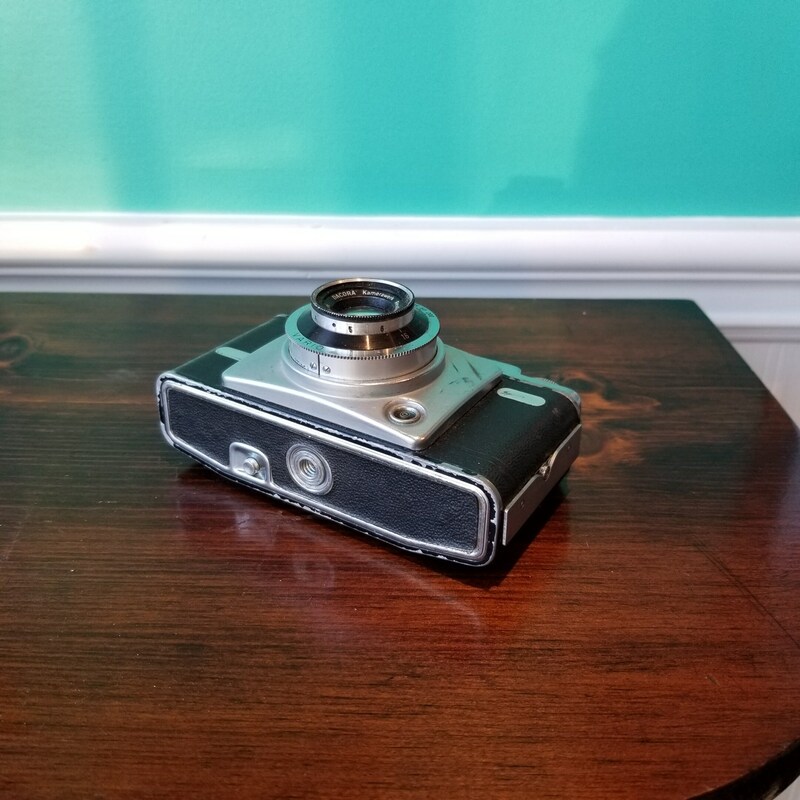 This camera is NOT in working condition with a jammed shutter, but is still a beautiful piece for decor, to upcycle in to a lamp or decor piece, or to try and repair.